Brand new, aggressive and totally exclusive ... is the new line signed 2Star! A brand dedicated to all lovers of fashion, who live their lives intensely, as protagonists, enjoying every opportunity and making it special ... just like in a movie. 2star is the symbol of a generation that colors with enthusiasm even the most boring days, which does not put off until tomorrow and focuses attention on the freedom to express themselves, to be, to appear, to become star of his own life. The brand signs a collection of adult and kid shoes made in an unmistakable style that plays on the character of the vintage, with stone washed effects, mixing to a metropolitan and rock mood, in order to result innovative and attractive. 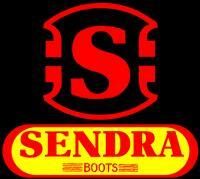 More than 40 years of solid experience acquired in shoes sector. The strong synergy among all the firm area, and last but not least the big determination to transform every single product in a creation, by reason of the workmanship and details regard, the choose of the most precious materials and the unflagging stylistic research, permitted the evolution of the firm which has became a world-famous reality. The Alberto Fermani collection evokes pictures of a new female. Explicit. Determined. Forever captured in the forms inclined to romanticism more conceptual, slightly bohéme that evokes soft atmospheres. The Alberto Fermani’s femininity collections materialize in rounded, precised and faultless forms. Fashion shoes made ​​in italy. In 2000 the passion and know-how of Leonello Calvani and Patrick Ithier two of the sectors prominent professional figures - come together to create ASH: their combined experience in the fileds of commerce and design give rise to a product in which clear ideas are aligned to and contemporany content. This professional association gives Calvani and Ithier free regin in the expression of their respective countries’ best charateristics and creates a particular Italo French style. On the one hand Made in Italy, quality and the tradition of the great Italian tanneries, on the other, French allure, the ’ creatin je ne sais quoi ’ which trasform everything it touches into fashion. The philosophy of the brand ASH has two fundamental cornestores: selective distribution and competitive retail price, to better follow the demands of a chenning market in costant quest of self-renewal. The ASH world is multifaced: glamours and ironic, suitable for any age is dedicated to the men and women who travel trought the world’s capitals, alway aware of lates trends but withour sharing in the mania of standardizaton. 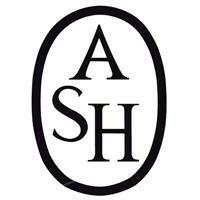 The ASH retail policy is geared towards developing a network monobrand stores. Fashion handmade shoes made ​​in Italy. Design, Originality and Elegance for original women, values of Audley. Audley strengthens as a company based on solid values that has made the brand since its inception. Values associated with a natural woman that seeks originality in dress. Elegance, Exclusivity and Originality; Audley values achieved in all his designs. Shoes loaded with personality. Audley Shoes Collections are areas of authenticity, originality, independence and evolving. Each season, Audley offers women a particular vision of fashion and footwear showing a unique style that stands out sharply in a world increasingly uniform and impersonal. Intellectual and actual designs. Quality, elegance, naturalness, personality; values that differentiate our work, the essence of Audley shoes. Audley is sticking to the Bauhaus model that has always characterized the brand that combines design, quality and naturalness in a shoe created by and for women. This is not the first entrepreneurial experience for Christine Natkin. After 20 years of managing her eponymous company of Press Relations & Communication, Natkin Press, and through her experience in the corporate world as well as her many travels, Christine had a revelation: women are always in a hurry and have to manage both their professional and personal lives. With this observation, a problem arises: how can they stay feminine in all circumstances? Thus, having identified this simple but real issue, Christine, passionate and elegant, launched in January 2011 a product faithful to her image, Bagllerina. Her idea is to think of different fashion accessories that transform the lives of women in a very effective formula combining comfort, simplicity, elegance and well-being. 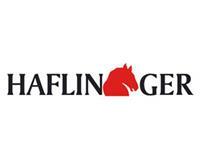 Christine Natkin plans to develop other ranges of accessories... Bagllerina still has some nice surprises in store! The Bagllerina are the essential of your wardrobe. Fold them in their leather pouch, slip them into your handbag ... and you’re ready to start your day peacefully. Bagllerina is the first foldable ballerina made entirely of leather. The brand offers a wide selection of high quality ballerinas, easy to carry thanks both to their size and their weight. This smart accessory is made up of a pair of foldable leather ballerinas, a leather pouch and a nylon bag in which the taken off shoes are kept. They fold in half to help women in any daily situation, eliminating all worries related to comfort. To satisfy all customers, Bagllerina proposes three different shapes. The Daily is the most classic and covers an important part of the foot, the Gorgeous, more modern, reveals a little more the foot. And at last, the Liberty is a model without a lace around the ledge, for a simple but effective style. Barracuda è un marchio italiano di calzature nato nel 1896 ed è entrato a far parte del gruppo Fabi nel 2003. Barracuda si contraddistingue sin dalla sua origine per la capacità artigianale fatta di competenza nelle lavorazioni, cura nella scelta dei pellami, creatività, innovazione e ricerca nel design. Questi sono i pilastri con cui Barracuda ha saputo costruire la sua identità, ideale per un cliente attento e sofisticato sempre aggiornato per quanto riguarda lo stile. Qualità, passione e competenza si sono fuse alla perfezione con Fabi, che ne condivide i valori da sempre. Made in Italy around the world but starting in Tuscany – in Tosco Romagnola Street number 40 in Montopoli Val D’Arno near Pisa to be exact, that’s where the shoe factory “Ballerina” produces its new brand of footwear – “Beautiful Streets”. Since 1989 Claudio and Michele have been designing and selling shoes of all colours, shapes and sizes. In 2016 they decided to create a new brand and named it “Beautiful Streets”- what better way to express 23 years of experience in the sector. For fashion enthusiasts, the name “Beautiful Streets” will immediately bring shopping to mind …. a name that bodes well for the many women who will stroll the streets of the world in search of “Beautiful Streets” footwear. The challenge taken on by the Tuscan manufacturers is to underline femininity in its classic styles – glamorous and essential at the same time. Each shoe style is distinctive with fine details without neglecting comfort in every step taken by those wearing “Beautiful Streets “. Thick – but light soles, hand brushed leather making every pair sold – unique. Hide and rubber embellishing the most hidden components. BIRKENSTOCK remains a family company, maintaining these traditions up to this day. BIRKENSTOCK represents not only top-end products manufactured with close attention to detail and a high proportion of manual work; there are many other positive factors involved in our company which emerge not least in the quality of our brand. Ecofriendly production and the use of select, high-grade and therefore long-lasting materials all helps to protect nature’s environment. Our workforce is committed and highly motivated, which is part of what satisfies our customers throughout the world. By maintaining a total of ten locations in Germany and continuously developing our production processes, we also support Germany as a location for our operations. BIRKENSTOCK products are, and will remain – from the buckles all the way to the sole. Of course BIRKENSTOCK moves with the times. We are continuously developing our products in order to keep pace with our customers’ high standards. New manufacturing processes aided by the latest technologies and the development of new materials and attractive models all form the foundation for this. In this way we will be able to offer you unique quality and unmatched comfort, walking and standing, today and tomorrow – you can rely on it. Blick. Ties stand on its own. We offer narrow ones in 5.5cm and 7.5cm. The designs and finishings are not commonplace, but for everyday use. Fashion for men with taste. These are always limited to 100 pieces, only italian fabrics and always with a special inner lining. In addition, we also have a great bow-ties, to self-tie them or buy them already pre-tied, depending on the customer’s taste. Next to that, we offer handkerchiefs and selected men’s jewelry. Browse a bit and be convinced of our wide range. As a second brand itself Eremitage has also very well established in the market. Here the designs are more classic, but here come rare specialties like grenadine or circular knitting Ties are used. Something for everyone. Enter the world of Bottega dell’Artigiano, an Italian footwear brand that since 1997 has been synonymous with elegance, originality and craftsmanship. We have built our brand on these values. We have worked to unite fashion trends and glam with craftsmanship to give you a taste of our love and attention to creating handmade shoes. Each sandal is hand crafted down to the smallest detail. Soft high quality leather gives the pleasure of wearing original comfortable shoes where simplicity meets refinement in a mix of ever new shapes and colors. We create small works of art which range from warm summer colors to the elegance of black, not to mention sneakers and platforms, suitable for every occasion from leisure to important events, combining a wide variety of models with the precision and comfort of a product which is hand-made in Italy. Bruglia shoe factory began its production of hand made women shoes of medium-high level in 1984. Three young brothers decided to create a small company which during the past years has always worked very seriously, trying to satisfy their clients requests. The company has now grown and is spread all over the national and international market with more than 200 outlets in the best shoe shops. We offer a wide range of women shoes of medium-high level: real hand sewn moccasins, court shoes of different heel heights also in goodyear construction, classic shoes, english style shoes, sandals, ankle length to knee length boots. We also provide a Luxury Line of valuable evening shoes and sandals embellished by real Swarovski rhinestones and other stones. Bruglia shoe factory has also decided to follow an all made-in-Italy market policy. 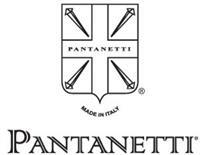 This means that we use only Italian leathers and raw materials of first quality, and that all manufacturing processes are accomplished in Italy We control the whole process in our newly built plant in Recanati, thus obtaining the best results in the footwear business which is surely a surplus value given to our products. Our company is characterized by a constant design and production research which means style, attention to details, elegance and comfort of our footwear. To all women who get in and out of the metro, bus or lift... always in a hurry. To all women who are running to pursue their dreams and commitments. To all women who do not take themselves way too seriously, even if they consider style a serious thing. To the hyper-connected who don’t want to give up their autonomy. We will give them the opportunity to do many things with the same accessory, the comfort of thinking that they did not have to change at every situation. We will give them a fair mix that should always work, in a simple way. Because we believe that femininity comes out from one’s way of being and from the way of living. We will create contemporary accessories, in balance between desire and reality, capturing our inspiration for the future by creating pieces that will help women feeling more special. 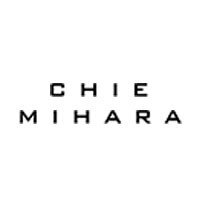 Chie Mihara launched her shoe line in Elda, Spain, in January 2002 in order to offer women something different, footwear designed by woman for women, with a priority placed on design and comfort. ’we’re mothers, working women, active women!’ she said, ’and we should have shoes that match our needs. We want to look femenine, beautiful, attractive but without giving up comfort’. Drawing on vintage influences ranging from 1930s feminity to 1980s humor, she began taking details from the past and reworking them to reflect contemporary esthetics and modern fashion. Her distinctive footwear quickly gained a following devoted to Chie’s unique approach to comfort and style. Inspired by the French word for poppy flower, the Coclico footwear collection is a fresh and unique composition of style and colors. Timeless beauty and originality are the focus of Sandra Canselier, the creator of Coclico. Born and raised in Brittany, France, her father, grandfather and great grandfather were shoemakers. Sandra has carried on this family tradition, and reshaped it to reflect her distinct sensibilities. At the age of twenty-two, Sandra arrived in New York City. She began modestly, taking odd jobs and plenty of risks. Her footwear collection launched in 2000, introducing new designs to the American market. Building on each seasons success, a Coclico boutique opened on Mott Street in the thriving Nolita neighborhood. The shoes factory, was established in 1926, originally e smart workshop, in the ald center of Napules.A few years later it moved to new pwermises, which today are used as storehouses. Those where pioneering years for the shoe sector, which was entirely based on creativity and skill of individual. 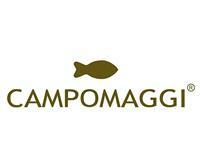 The founder of the company, Luigi Della Pia starter hand made production of about 18 pairs day. The company didn’t stop growing after it’s founder death in 1937, but it did because of the war, which caused the factory to stop production altogether from 1942 to 1945. At the end of the war the Della Pia family roller up their sleeves and starter again with renewed enthusiasm. The shoe factory remained a family workshopuntil 1984. 1985, with the new generation of the family entering the management, marked a turning point in the company history.The tree brother Luigi, Pasquale and Giovanni Della Pia, together with their father Antonio, complement the extraordinary technical skill inherited by their parents whith modern manufacturing techniques and new commercial stategies. Toghether with the top champions we have made our contribution to writing the most exciting pages in sports history: With our heritage collection we have given shape to those memories, evoking extraordinary victoriesand phenomenal feats. The charm of this line ispired by the models produced in the 70s and 80s goes beyound their style, the colours, treatments and materials used. With its retro style, colour, treatments and material, this line inspired by 70s and 80s models evokes the shoes tath left their mark in the history of sport. The knowledge and the experience are passed down from generations. 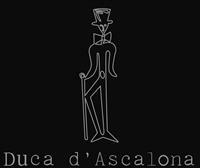 Duca D’ascalona creations are elegant and contemporary, with a unmistakable design whose key features are the quality of materials, comfort and the utmost care in crafting. Historic Italian brand born in the eighties and high demand for suoi natural vegetable tanned calfskin boots and with the characteristic of being a product made ​​in Italy artisan highly. Espadrilles or Espartena date back to a very distant past: some say they were already popular in the ancient Greece and Rome. What we know for sure is where they were born: the Pyrenees, at the border of France and Spain. There, more than 40 years ago, the Espadrilles adventure began. Quintessentially, naturally original, Espadrilles are a wise mix of creativeness, design and eco-friendly values. Made using the traditionally spun yarn cotton stripes and sewn by hand onto the Cordura sole, today as in the past, Espadrilles are manufactured with a century-old technique, used to make even the most contemporary models. A timeless style icon, Espadrilles are strictly hand-made only, as the ideal marriage of the most traditional methods and the most innovative, sophisticated design. Espadrilles now are iconic, legendary and timeless shoes. Worn by famous politicians such as Juan Domingo Peron or simply by european immigrants of South America, they have been the protagonists of dramatical historical changes. Now considered a cult object, their style is never out of date. Thanks to Ferrari & Zenobi, in the first half of the eighties, Espadrilles became a true icon, worn by the most important people in the world and reinterpreted by the most fashionable international designers. Today, Espadrilles is the one and only brand able to link its own image to such a timeless symbol of the european culture. 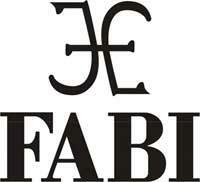 A decisive factor of Fabi’s success has been its remarkable ability to reconcile tradition and innovation. In the 1980s, on the solid foundations of its already well-established success, Fabi expanded its horizons to find emerging markets, inspired by its desire to set its sights ever higher. Fabi’s current headquarters, in Monte San Giusto, opened in December 2004 and covers over 15,000 covered sq.m. It’s an attractive, dynamic modern work place, with ample space and lovely indoor green areas, making it a great place to work together! Every step of the process, from the idea to the design and from production to sales, takes place in house, which is what makes Fabi’s products unique and flawless. Ours are discerning customers, who are confident in their choices, well equipped to appreciate superior footwear and love the refined details Made in Italy… Made in Fabi! In the 1970s the womens liberation movement was born. The quest for equality in society made women also yearn for freedom of expression in their clothing. The Europeans influenced American fashion with sexualized glamour, style icons Jane Birkin, Bianca Jagger, Brigit Bardot & Farrah Fawcett made miniskirts and platforms popular silhouettes that keep re-appearing on today modern catwalks. Now with FLOGG, disco dancing can be so much more fun as retro classic shapes are made more comfortable with the flip flop EVA component, facilitating womens agile an upwardly mobile status. FLOGG is a revolutionary new category of footwear -inspired by the laid back California lifestyle and invented for all women who want to feel good and look fantastic without sacrificing design. After years of designing for fashion and comfort brands alike, veteran shoe designer Carol de Leon took a moment to deeply think about what was truly needed in the market. Having the ability to design any imaginable shoe possible, her immediate need for a shoe that offered height with a cool comfort factor led to the invention of the latest shoe sensation, FLOGG. In flight, on a cocktail napkin, at the tail end of a research and design trip from Milan, she sketched what she imagined to be a hip shoe that she could dance in all night. With a chunky wood base construction, topped with a layer of EVA, the material your most comfortable flip flops are made of...and voila! A fantastic hybrid of two iconic types of footwear, a flip flop and a clog was born...FLOGG. The first FLOGG collection has been developed with great secrecy. De Leon wanted to maintain the project under wraps because of its novelty and entrusted the endeavor only to shoe technicians with whom she had long lasting relationships. Most of the prototypes were kept out of factories and made by hand on the kitchen table. Meanwhile, a California dreaming lifestyle concept evolved around the casual chic designs and without doing any formal trade shows or presentations, the first collection was shown to top buyers by invitation only in October . With most budgets already spent for the Spring 2013 season, buyers scurried to find the dollars to add FLOGG to their selections because they immediately recognized that this new shoe line had great potential to be the next hot iconic brand likened to Uggs and Crocs. The first delivery of FLOGG will be this Spring in stores like Nordstrom, Belk, Shop Bop and many independents nationwide. International distributors are already lined up to view the new Fall 2013/14 line at the Micam shoe show in Milan this March. The positive response from the retailers has been so incredible, De Leon is still in disbelief. ’ I honestly designed this for myself, and I had no idea that the positive response would be so widespread and well received. I’m extremely happy to be able to share this new shoe concept with all the women out there with the same need. I’m also extremely thrilled to be part of something exciting and new in the market. Many times in the design process you strive to create something so new and different, never been done before, it leaves you uncertain about the marketability and whether the new design would be sellable and relevant to the needs of the market. For years I have traveled the world on research and development trips, only to find that if I start from within, I can determine what is absolutely essential’. The mother of invention is need so they say. FLOGG is the new hot item that satisfies your fashion whims at the same time that it addresses the most absolute need to feel confident, comfortable and carefree. Life is too short to look good and feel bad. Now vanity has never felt so good! On March 10th, 1863, John A. Frye opened the doors of a small shop on Elm Street in Marlboro, Massachusetts. The shoes he made werent icons of fashion or fanciful in style. They served a simple purpose: to ease the daily working lives of the hundreds of factory workers in that small New England town. 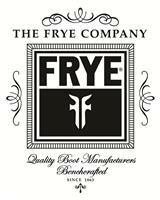 In time, John Fryes family would grow and, along with it, The Frye Company would expand. Each generation of Frye men dedicated themselves to the art and craft of shoemaking, creating new patterns, discovering new materials, and even inventing shoe-making machinery. Their fervor for the process of crafting footwear as durable as it is beautiful has been our companys benchmark, ever since. And this dedication has helped us craft footwear with a long and illustrious history. Fryes Harness boot is rooted in this tradition and continues to draw inspiration from the American Cavalry. During a 1938 trip to Washington, D.C., John A. Fryes grandson and namesake met a U.S. Navy Admiral who noted his difficulty in finding the Wellington styles he liked so much. As a favor, John agreed to make him a pair. Frye continued to fill these requests for boots through World War II. By mail order, the company supplied thousands of brave soldiers and pilots with Frye Wellingtons, known as Jet boots. Our boots traveled the world on the feet of American servicemen, from Normandy to Okinawa even General Patton wore a pair. The CAMPUS boot featured a bulky toe and chunky heel that came to epitomize the attitude and styles of the 1960s and 1970s. The Smithsonian Institute, in its search for items to best represent America during the Sixties, chose a pair of CAMPUS boots that proudly remain on display today in our nations capital. This is our history and our heritage, told in every stitch of every shoe weve made for nearly 150 years: across cultural shifts and changes in fashion, for generation upon generation. Now, Frye boots are accessorized and envied on city streets, worked and roughed up on country roads, and chosen above all others for their inimitable style and uncompromising quality. And yet, despite our reach and success as a boot maker, our mission to make the best-looking, hardest-working, longest-lasting shoes and leather goods hasnt changed since our days on Elm Street. Strong and impulsive, like the wild jiuniper of Corsica,velvety like a violet out of the Azure Coast. The collection is a seducing bouquet. Provencal lavender wrapping the accessoires, meeting the rose of the Sein, romantic, and resolute. FioriFrancesi ispired by Parisian atmosphere full of sensuality and elegance, breathes the frangrances of the flowers of France. A womanswear collection made of conteporany creative viewes and artisanal memory. A refined label with deep fashion features which pust in the details the entire know-how of the freat cobbling Italian tradition. In Italy and around the world since 2007. Once it was Effemme. The Family Petrini’s business that took its first steps in 1988, in the very heart of the footwear district of Le Marche. An industrious workshop at home, that for over a decade, collaborated with the major Italian and International griffes, so joining its activity to the most prestigious names in the Footwear and Fashion world. A crucial and valuable wealth of experience which represented the starting point for the creation, in 1997, of the brand Gaia D’Este. A name recalling those atmospheres of the past. History, nobility, power. La grandeur. A beautiful lady, carrying a jocose name and luxurious and graceful toilettes. A product breathing thanks to the deep dedication to work and the passion for “the shoe” and Fashion, the devotion to the craft past, retraced keeping up the pace of state-of-the-art technology. Gaia D’Este shoes are conceived for a young woman, following her fashion instinct, true to her innate fine taste, but who also loves indulging in something extravagant. A contemporary woman captured by all that is irresistibly beautiful. Shoe’s lines and shapes harmoniously follow the foot ones, the smooth womanly curves. The typical seduction shades give space to the new intuitions of color fancy. Paramount is heel, whatever height or shape, it gives the lady that lithe and sensual gait, seducing and winning any curious and amazed gaze. A shoe holding that unmistakable Italian taste, but also able to read further languages and cross the borders. That’s why today Gaia D’Este is able to reach any spot of the world, embellishing the most exclusive shop windows: from Italy to Europe to the ex URSS, up to Asia and the States. 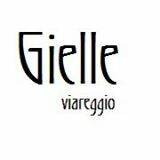 Enrico Gibellieri opened his factory in the Marche region of Italy in 1976 seeing an opportunity to realize his vision of creating the finest womens shoes in the world. Shortly after, he became recognized as one of the pioneers of the region and although the company has expanded internationally the shoes are still made by a small team of skilled artisans who uphold the brands longstanding tradition of elegance, artistry and quality. Techniques have been passed down from generation to generation and Enrico and his artisans continue to create each shoe by hand entirely in Italy. Gibellieri is a international company that remains independent and has been family run for the past 30 years, continuing the mission of creating exquisite styles in the finest materials, with unparalleled artistry. 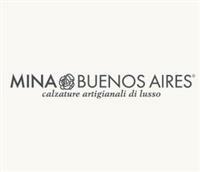 Italian artisans, working history, classical dance as a reference, the magic of equilibria and perfection manual, experience and attention to detail, all the processes of threading, made ​​one by one. These dancers are unique for this simple and refined with great depth. Un nuovo brand dallo stile moderno e ricercato, in cui artigianalità e ricerca stilistica si incontrano in un mix unico di tradizione e modernità. Pellami pregiati, maestria artigiana e nuove ispirazioni costruiscono una collezione di calzature dallo stile femminile ma allo stesso tempo metropolitano, che punta tutto sulla qualità delle lavorazioni e delle materie prime con una ricerca sempre attuale di stile e tendenze alla moda. Ishikawa is shaped and formed by the energy characterizing the target whom its destined to, a mix of different worlds, of different styles from diverse countries, a perfect mlange of East and West, a tour of the world offering a spicy lifestyle. The idea on which the idea of the Ishikawa lifestyle was based is perfectly symbolized by the logo, a sort of scratch in which the double I is represented by a nail with which the inventor of the brand, Angelo Lupis, has imagined to draw the logo: a non fading, firm, clean groove just as the Ishikawa style. The brand marks an intriguing collection of unisex sneakers and a line of t-shirts and it is already about to launch, during the 2012 Spring/Summer season, a sneakers line destined to kids, unisex and kids sweatshirts, jersey dresses and a glamorous collection of bags: all unmistakably characterized by the scratch Ishikawa counts over 150 authorized resellers on the national territory and makes out of quality its principal value, starting from the choice of materials to end to the care for details during production The techno-chic style revisited in a futuristic key and a vintage mood are at the base of the Ishikawa line, a trend that becomes must, an answer for who transforms style into life. handmade sandals with a sober and refined. Silvano Sassetti estabilishhis little laboratory in 1977 and today with his long experience have a team of 30 italians masters shoemakers. Every creation of Silvano Sassetti is an authentic piece of italian handicraft, born from the most antique tradition hand made it. L’apéro è la prima ’private label’ della Fukuda Glove Co.,Ltd. che ha debuttato tra le nostre collezione del 2009. Il nome è ispirato alla parola e concetto di ’aperitif’ (aperitivo). Vorremmo che mettere i nostri guanti prima di uscire vi aiutasse ad avere aspettative positive. I concetti chiave sono Eleganza, Grazia e Stile nella vita quotidiana. Le idee della designer sono ridefinite e sviluppate attraverso il lavoro degli artigianati. Tutti i prodotti sono ’Made in Japan’. La Fukuda Glove è un’azienda storica fondata nel 1913. Tutt’ora a conduzione famigliare. laidback london is an ethical shoe label that was set up in 2002. The brand is about the product and the people that make it. We are committed to working out of Africa where we are making a positive social and economic impact on the local communities that we work with. Our signature sandal line is hand crafted using traditional techniques. Where possible, raw materials are sourced locally. The leathers come from a small tannery they are dyed by hand and then left out in the sun to dry naturally. The rubber outsoles are sourced from a local factory and these are prepared and cut by hand. The uppers are embellished with beads by hand every fifth bead is sewn directly onto the leather. On average, one person can embellish four pairs of uppers in one day. These labour intensive processes provide much needed jobs and give the sandals an authentic, handmade feel. The line has been influenced by various African cultures, tribes and artisanal workmanship. Over the years we have been able to provide training, support as well as crucially, a constant flow of work that provides a sustainable income, which in turn has a significant impact on the local communities as well as on the next generation. Every shoe has a story. Your story starts here. laidback london was born out of a desire to go back to basics. To make products the old fashioned way - by hand, using traditional techniques. To work with the imperfections to create naturally unique and individual products. Timeless pieces that are made to last, that wear better with age. Having moved to London in 1997, the label’s founder wanted to bring back a part of the laid-back lifestyle he had experienced growing up on the coastal town of Mombasa to the big city. The first pair of laidback london sandals were sold from a market stall on Portobello Road in the summer of 2002. Giving back. Making a difference. We have established an infrastructure that creates jobs, provides sustainable incomes for the workers and preserves their skills and artistry. The work we do has a positive social and economic impact- empowering local communities, giving hope and providing opportunities through education for future generations. Keeping the processes hand made allows us to build the work force and create maximum employment. The leather, which is sourced from a local, family owned tannery is hand dyed and sundried before being cut by hand. The uppers are then hand embellished with tiny colourful beads using a technique that symbolises the traditions of the various local tribes. Different to any other, this painstaking method of sewing every fourth bead directly onto the leather can take one person up to half a day to embellish just two pairs of sandals.The uppers are then hand embellished with tiny colourful beads using a technique, which symbolises the traditions of the various local tribes. Best know for what has now become the brands signature line, laidback london sandals have a truly authentic, handmade feel. LeCrown unique personality comes from the family experience that the co-founder Nicol was able to capture from his grandfather. Originally brand LeCrown was, in fact, started in the early 40s and stopped during World War II. Today, the Venetian expert craftsmanship of those days is interpreted through the sobriety of style and nobility of materials. LeCrown since the first collection become an essential piece for the estimator of the italian-hand-made placing in the best stores of Italian style thanks to their packaging, a clear plastic travel bag which contains the footwear. Lena Milos manufactures high-quality womens shoes, entirely hand-made. Lena Milos applies traditional construction methods and uses only first-choice materials to make fine shoes for elegant women with an eye for fashion. Take two designers, mix their experience in manufacturing leather garments for the biggest fashion names... season with highest quality materials, unexpected colors and a taste for vintage looks with a modern twist, the atmosphere you breathe in New York when you take a stroll in the most picturesque districts. A word could only summarize the spirit of MEXICANA. A passion which goes back to adolescence FEVER, where already a pair of boots was a rallying symbol of Rock’n Roll, Adventure and Freedom. And then was Mexico: a revelation. Over then we found men, traditions and lifestyle corresponding to our dreams. 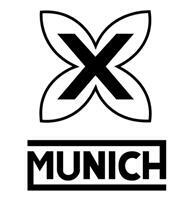 In 1988 was born the French brand MEXICANA, true link between Europe and Mexico. Home-made manufacturing of very high quality, season after season, the inquiring and demanding spirit remains, perfect harmony between classic, basics and originals precursory prespectives. For 25 years, MEXICANA has kept giving character and direction to a legendary accessory, bringing it from Tradition to authentic Fashion & Luxury. Mialuis is a company of handmade bags totally Made in Italy, founded by the architect Mariaelena Mallone that in 2010 realized her dream. The name of the company was a family affair: Mariaelena’s mother had the idea put together a part of her name (LUIS) and the tender nickname of her daughter (MIA) , creating a new name, evocative of their own past. Sensations of Mariaelena Mallone become a new project and design: people met, visited place, food and wine tasted with someone or somewhere, transform every time her archive of ideas into a little trick, a great magic. Each bag of Mialuis’ collections is the special result of the secret receipt realized ad hoc by a colour master. Talent and creativity, fantasy and ability, brain and hands together : each bag for Mialuis is a storyteller. Bags thought for women who love fashion style and pragmatism at the same time and who find in quality one of the distinctive touch of their life. Each MOMA product is produced in a real workshop where craftsmen, artists, workers and designers under the direction of Gigio and Daniele Gironacci exchange their experiences. In 1992, Gigio and Daniele Gironacci decided that making shoes was not their only objective. Who are we? We are two craftsmen who set our hands to work and who believe that “well done” is not perfect. For us, a product is what we have in mind and what we can realize by experimenting with old and new technologies. In our workshop, everyone who is talented can contribute their ideas. Something influences our ideas and our products are actually always innovative. Where are we? We are located in the heart of the hilly countryside of the Marches. Is there anything better in this world than these hills? We decided to live here and to get our energy from this soil, this plain history and this rural spirit. We are inspired by the thought that everything we produce is the derivative of other goods that have existed already. Our processing is often inspired by the mildew on a grapevine, the moss on a tree bark, the rust … by all the things that have a clear beginning and a clear end. Each of our products tells a straight and simple story in which the experiences of the past live on. What we do. We work. We learn the processing of the raw materials, the methods of processing and the techniques by watching the artists and farmers and give shape to a vision. What was our principle? Our principle: Midnight Over My Action. 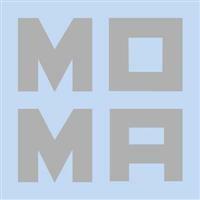 MOMA. We hurled ourselves into this adventure bearing these words in mind. There is a dividing line between tradition and new craftsmanship, just like the line that separates the old day from the new. Both comply with the same rules but are not equal. When we started the production of “the used and the dirty” we did not intend to start a trend. Our products were supposed to have a character that has lived a life, such as the wrinkles in the face of a person or the scars of an injury, which create each person’s individual history. How do we introduce ourselves? Just the way we are. What would we like to see happen with this website? We would be glad if it becomes a meeting place for ideas of any kind. A place where design become voice of one times. 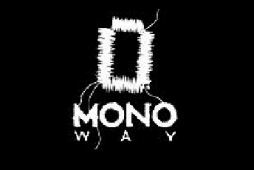 this is MonoWay: a blanck space insede an embroideren pieces, a location from wich you can approach a new world, finid inspiration to reshape today’s fashion, society, arts and lifestyle. MonoWay is a truly material projet, starting from shoes to redifine the whole fashion brand concept in the global era in we live in. MonoWay’s collections cosntanting link product to ideas, and prsent them to a sphisticated goup of clients. Cutting-edge design, arts and, in particular, miusic with all its icons: These are the left-motif for MonoWay, wich symbolises a privileged space to express oneself, where emotions are major elements when it comes to selection. In such a music-inspired context, rhytm is the thread par excellence. This is why what jazzman once called ’swing’ is now suc a crucial point: a rhythm flow in which the variety of color shades becomes as one; where from a single sound, many other unexpectedly originate differing one another just for their tone, as in a virtuous performance. They create the miracle of improvisation. 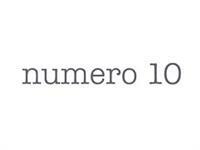 Similary, each MonoWay collection is a composition in wich, starting from the basis intuiton of a product, thousands of possible version arise, as is natural evolution. The magic of colour meets the unique and autentich fabric of selected materials. Variation on a theme, one would say. Difference and repetition rhythm, colour nuances and materials’uniqueness. This is the main conceptual framwork, and aslo the truly materials soul of MonoWay: a concept brand essentially made of structure and performance, in which sounds, codes and rhythms magically intertwim, like a glourios song. Perini was born at the beginning of the 70s by producing wooden heels, and then specialized in the production of clogs and cork bottoms for men and women. It has been able to evolve, based on market needs, up to work with an increasing number of famous brands. Now the Perini Footwear has become their reference point, offering an extreme quality of the product, both in the raw materials that in ’production craftsmanship.. Thanks to this wealth of experience, the company wanted to express his character, creating in 2011 a new brand: MOODWOOD. The collections, from 2011 to 2013, were characterized by extraordinary originality in wooden bottoms, combined with refined and innovative materials and uppers modern design, feminine and elegant. 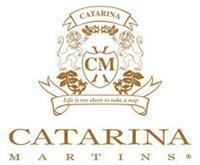 The brand was intended for a medium to high-end market and has had excellent feedback from the customers. But wanting to get closer to a greater number of people, covering a wider range of the market, the company decided to change the brand in MOOD, keeping intact the original features, and creating more classic and wearable items for every woman. Proposes on the Italian and foreign markets two collections: Bio and MOOD MOOD, the first tied to wooden bottoms, DNA of the company, and turned to shoes and clothing shops that love fashion concepts and sought after models. The second addressed, as the Bio word, to comfort including a unique style. In the ’80s, the boom in Spain for indoor football began, and the Spanish quickly became a reference at world level for this sport. The Berneda brothers saw their opportunity and did not let the chance of producing a special shoe for the sport escape them. Their GOAL model was their masterstroke and quickly became the leader in the market. As time passes, this model has become the star product of the MUNICH company. La vocazione di Alberto per la pelle gli proviene dalla tradizione famigliare e si è tradotta in un metodo di lavoro che recupera al 100% l’artigianalità storica italiana per la realizzazione di prodotti innovativi e funzionali ma attraenti e con il fascino dei fuoriclasse. L’idea è venuta nel corso di una conversazione con un’amica stilista esperta di streetware, Valeria Monzeglio. Fondamentale l’incontro con la figura avventurosa e affascinante del padre, il leggendario aviatore ticinese Ettore Monzeglio e con le borse dell’aviazione elvetica. Volevo un prodotto da fuoriclasse come il numero 10 nella squadra di calcio e la circostanza della nascita di mio figlio, il 10 dicembre del 2002, mi ha suggerito che ero sulla buona strada. Figlio di Giorgio Mondini, campione italiano di ciclismo, Alberto ha superato nello stile la passione iniziale per il vintage customizzato e oggi produce borse e accessori unisex nuovi, originali per ispirazione, unici per selezione e trattamenti del cuoio e dei pellami. Il sogno avverato è di produrre borse dalla personalità inconfondibile perché ogni esemplare è lavorato e tinto a mano come facevano gli antichi artigiani del cuoio toscani. L’obiettivo è di realizzare accessori che entrano nella vita delle persone e diventano importanti, fondamentali. Questo è possibile solo concentrandosi su modelli che possono accompagnarci tutti i giorni senza stancare, essere dimenticati un bel giorno nell’armadio e, se ripescati dopo anni, mantenere fresco e attuale il loro fascino. His target is a classy and cultured woman, who loves to travel and desires sophisticated simplicity. Classic style doesn’t follow trends, but it can be recognized in a way that is always true praise of QUALITY. Only a creative soul is able to sublimate glamour in a truly smart way. That’s the reason why Manuel Barcelò transforms classic espadrilles and makes the collection richer with models that are more fashionable and stronger colouring them with subdued tones in order to reinvent these famous “rope-soled shoes”. A long history of passion and dedication that has led to the birth of a brand which is synonymous with quality and style in Spain and abroad. Every item of Paloma Barceló wedges is an incredible piece of art produced by experienced hands. High quality is ensured by over a hundred of working phases, the attention combined strong manual components with the design of the models. Handcraft and true passion come from this Traditional and Innovative production that carries the name Paloma Barceló. Orietta Mancini is the elegance, charm and sophistication of a trendy, cosmopolitan, fashion lover woman, who wants to stand out and enhance at every opportunity their femininity, without sacrificing comfort. Quality materials, innovative design and the attention to detail are the ingredients that make his creations unique and exclusive. Label and name of the milliner most loved by designers. Born in Sens, France in 1956. After graduating he learnt to make hats and leather accessories using scraps from his family’s tannery. He was later taught by Denise Frère, a pattern maker for Maison Riva Marchesi and he was apprenticed to the celebrated Madame Paulette. He launched his designer label in 1981 despite the declining trend for hats, and he found enthusiastic allies in designers like Gaultier, Mugler, Miyake, and Montana. At the same time he launched a range of gloves, bags, and shoes. He opened his own boutique in Paris in 1984.Every production stage is devolved upon a company located in Riviera del Brenta ( famous Italian area for the quality of shoes production) where the shoe arise from the lather cut, proceeding through the handmade assembly of the sole until the final upper polishing, made shoe by shoe. The aseptic industrial production system doesn’t contaminate our work philosophy, on the contrary, sometimes, it is characterized from slight differences between shoes, which cannot be considered a flaw, but a sign of an handmade work never like as itself. Pedro García is a family company in the shoemaking business. SHOEMAKERS. In the most traditional sense of the term... And now also the most modern. Pedro García Amat began the saga; his eldest son, Pedro García Vidal, would later create a brand with the family name and now his children Mila and Pedro, the third generation, have given the firm its own identity and an international scope. 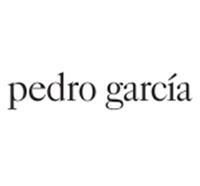 Today, Pedro García is sold in 36 countries at premier retail establishments, and the brand has a solid presence in the European, American and Asian markets. Perky is a Brazilian brand that offers comfortable shoes, differentiated and present. Reinventing the concept of athletic shoes and the creation of a new way of dressing the feet of Brazilians, Perky presents various options of colors, prints, fabrics, fits and finishes. Comfort, lightness and durability are hallmarks of Perky sneakers. PERKY. Life can be lighter. Perky uma marca brasileira que surge para oferecer a voc um calado confortvel, diferenciado e atual. Reinventando o conceito de alpargatas e criando um novo jeito de vestir os ps dos brasileiros, Perky apresenta diversas possibilidades de cores, estampas, tecidos, modelagens e acabamentos. Conforto, leveza e durabilidade so caractersticas das alpargatas Perky. PERKY. A VIDA PODE SER MAIS LEVE. The concept of QQ shoes arises from the need to revive the ancient tradition of the now rare Italian moccasin production. The idea is to enclose in the style of product, quality, tradition and innovation in a funny acronym. From a long selection of the most prestigious leather, were chosen two of this that mark out all the QQ collection: the horse with the bone, a material of European origin containing calloused parts presenting each pair as unique and superbly improves its appearance with the use, and camel vintage, a skin beautifully treated which has its peculiar beauty in the natural and mellow softness. Patterns are sewn by hand, by artisans who are well aware of the long and difficult process of the tubular with waxed thread of American cotton. Inside are used very soft insoles for indisputable comfort. Soles are in waxed leather rump, with non-slip rubber inserts. Mailde cotton and canvans upper. The shoe worn on Spain’s celebrated Costa Blanca in the years just after the war. Faithfully redesigned to keep its distinctive ’ Fifties ’ look. Today this classic leisure shoe is worn in the city: on the seaside, on deck, in sun or shade, night or day. Roberto Festa shoes arise from the Italian taste for attention to detail, to the attention to craftsmanship and sensitivity to new trends. 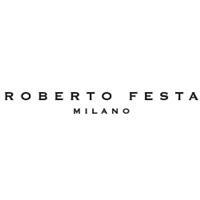 Creativity, design, research and design are the main features that have made Roberto Festa Milan a prestigious brand in the fashion world. The Roberto Festa shoes are unique, sporting a new elegance, given by a sophisticated design, creative and decided for a confident woman who wants to show her femininity. Since 2003 Ruby Brown has been known for her innovative style in the world of both luxury and comfortable slippers as well as handknitted HotSocks, available in several wool blends and in unorthodox colour combinations and jacquards. 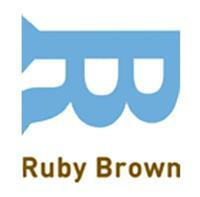 The winter collection combined with a colourful summer collection makes Ruby Brown an all year round quality brand. A strong eye for fashion and a refined hand for creation characterize Sam Edelman shoes. Bringing more than 30 years of experience developing some of the most successful shoe collections in fashion history, founder Sam Edelman has honed his craft to deliver womens shoes that reflect his creative sensibility, one marked by use of sensual textures, playful embellishment and confident style. The Sam Edelman brand was launched in 2004 with a complete collection, and quickly emerged as a breakout success in the womens shoe arena. In a bold stroke of whimsy, Sam imprinted his oversize hand-drawn signature on the insole of his shoes, and the expressive signature has become an iconic hallmark of the brand. Capturing the imaginations of stylish young women, each season the collection boasts sell-out hits such as: the Celine (Sp07), a punch-out, laser-cut ballet, the Ginger (Sp08), a studded gladiator sandal; and the Jackson (Fall09), an over-the-knee suede boot. Celebrity fans include Jennifer Lopez, Julia Roberts, Miley Cyrus, Rachel Bilson, Halle Berry and Katy Perry. Brand made in Brazil by a team of young globetrotter design has just reached Paris and Milan with its refined collections. New genertion design that is affecting even the old continent with the unquestioned ability of the women who really knows and knows to take his breath. THE FIRM SCUNZANI IVO, WAS BORN IN 1971 FROM SCUNZANI IVO AND SALARDI MIRCA. MARCELLO SCUNZANI AND HIS SUPPORT MADE RESEARCH IN THE MATERIALS BOTH HIDES, BUCKLES AND ALSO IN THE MOST WILD ASSEMBLAGE TECHNIQUE. THEY FOCUS THEIR ATTENTION ON THE USE AND ON THE DISCOVERY OF NEW MATERIALS AND VERY ALTERNATIVES WORKMANSHIPS. THEIR RESEARCH IS AND WILL BE AN EVOLUTION OF THE DEEPEST VIBRATIONS OF THEIR MIND, THAT WANTS TO BECOME TASTE, EXPRESSION AND FASHION. What starter out almost a century ago as a small family business has now become one of the world’s foremost bootmakers. Our history forms part of our present, providing us with the experience and know-out required in order to continue building a future replete with success. Improving every day through continuous research of materials and technical solutions. This is our goal and our strength. 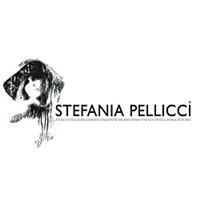 This winning formula has brought Stefania Pellicci great satisfactions, ensuring our presence in the best boutiques in Italy and abroad. A brand, a company that for the last 30 years has told a story of excellence and passion with its products, a story of dreams and courage, without sensational slogans or big promises, just by having a great passion for shoes and the strength of questioning its results to continuously grow, model after model. The Stéphane Kélian brand was founded in the early 60s in Bourg de Péage, in the Drôme. But it was not until 1978 that Stephane Kélian’s reputation developed on a larger scale with the launch of a highly sensitive line of women’s shoes. The brand boldly designed shoes with a strong identity, including the famous plaited leather models. More than 30 years in woman shoes business testify passion and ability in scanning fashion evolutions and female world requirements. 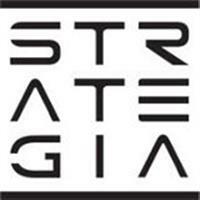 The always-increasing results obtained by Strategia during the years, are the proof of the ability applied to create a high-standard quality product, which use the modern techniques of production and refinement of handmade details. Growing up with four distinct seasons in Norway, I never let go of the black rubber galoshes that my late grandfather passed on to me. In 1999 they accompanied me to a milder, but still rainy Paris. Wearing Chuck Taylor’s Converse and galoshes, I got around the severe rainfall that autumn. Not surprisingly, my footwear became the subject of many jokes around the art school I attended. Later, while living in New York, I blended in with an image-conscious culture that defied slushy streets, freezing winds and pouring rain. Naturally, this resulted in a lot of discomfort and many ruined pairs of shoes. A few more Manhattan winters went by while I searched for the right product before I finally took matters in my own hands and decided to develop SWIMS - The Modern Galosh! A stylish solution, embodying the essence of practicality: Wear your favorite shoes, slip on SWIMS when the weather is rough, slip’em off when you arrive at your destination. Enhanced comfort is assured and your shoes are guaranteed to stay shiny. The SWIMS galosh is the product of my own experience, my appreciation of functional design, and my odd fascination with big city rain. Tania E ’heel 50. Fall Winter collection taniaercoli brand debuted two thousand and ten women’s shoes. 181 offers slippers for women, slippers comfortable walking, young and fun for casual and refined woman who feels at ease with shoes and who has the courage to play with fashion. It’s a trend that comes from Hollywood, where actresses and jet setters have adopted for some time even on important occasions (you can also see on the red carpet) and that is spreading in Italy. Even we women more ’careful were ’liberated’ by the spirit of these fun shoes that plays down the elegance and combines the convenience’. The collection and 181 ’proposal in more’ variants, with different colors, materials and designs to suit all occasions. The heart of the brand VIC MATIE ’is creativity; In fact, every pair of shoes, every bags, are designed and developed as there were so many ’unique’, which are produced to become part of everyday life of women. In VIC MATIE ’, the creative idea is supported by the strong know-how of made in Italy, to which the brand is faithful since birth, and the background of the company Linea Marche, which are the guarantee of the high quality standard. The brand’s mission is not simply to create beautiful products, in line with fashion trends, but in designing objects that can defy time and always be fascinating and timely. 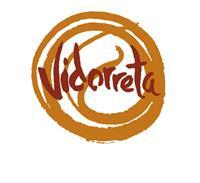 Vidorreta is a business established in a town in La Rioja, Cervera del Rio Alhama, the espadrille cradle in Spain. It starts off in the late 1970s as an industry in the manufacturing of the Jute fibre, undergoing all the operations, such as, spinning, plaiting, warping, stitching and vulcanizing, to the manufacturing of the espadrille sole. Fachada de Calzados VidorretaAfter many years acquiring knowledge in this material and having consolidated the market, Vidorreta passed on little by little to the design of its own espadrille collections. First in the national market, later in the international market, and going to the trade fairs in this sector, Vidorreta is capable of reaching its clients within a careful commercial network, a diligent selection of samples and meticulous production. With the manufacturing and commercialization of its product, Vidorreta wants to transmit its clients the commodity, freshness and transpiration that only a vegetable fibre like Jute can offer. With the added value that its a hand-made product and especially designed for your feet. WEXFORD footwear are introduced in a historical territorial context of the Italian footwear industry: the district of Monsummano Terme in the province of Pistoia; here shoes are created by people whose passion for their job is a tradition that has been passed down in the family from generation to generation, from father to son. Thanks to their expertise in this ancient profession, they follow the Italian typical handicraft manufacturing, in order to obtain a result that goes far beyond quality footwear. Everything starts and ends inside the company; from the design of new models, to the accurate choice of raw materials, ending with the production and distribution of the product. The entire cycle is completely Made in Tuscany. Quality has always been a priority, which is pursued through all the passages of production, since this is the only way to obtain a high-level product. 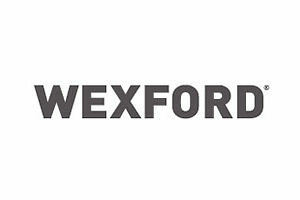 WEXFORD brand represents a new way of conceiving classical footwear in our contemporary world, through a concept of original style between tradition and innovation, technique and creativity. The Spanish brand Williot famously reinvents the class low top with simple styling and streamline design with an interesting mix of materials. Williot is a consolidated company established 31 years ago in Spain. Williot prides itself on finding new paths of distribution within the footwear industry. The humble team of designers hopes to watch the sneaker brand continuously evolve and reach out not only to men but also women and children. 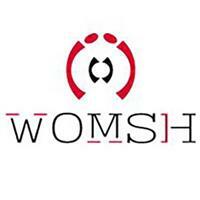 THANKS TO THE COLLABORATION WITH LIFEGATE, WOMSH IS PART OF THE ZERO IMPACT® PROJECT. Thanks to the collaboration with LIFEGATE, benchmark for the sustainable development through the business model “People, Planet e Profit”, Trade Promotions participates to the ZERO IMPACT® project: it was estimated the environmental impact generated by the whole lifecycle of the shoes “Womsh running” and “Womsh sneakers” considering the manufacturing process, the use and consumption of the main elements and resources, the product shipment and disposal at end of life. Thanks to ZERO IMPACT®, it will be reduced and offset the CO2 emissions contributing to the creation and the protection of more than 5.800 mq of growing forests in Rome, in the Volusia and Madonnetta areas. Since 2010, LIFEGATE in collaboration with the Municipality of Rome, participates to the recovery vegetation project which is part of the interventions that the Municipality intends to implement to reach the targets set in the Kyoto Protocol. The increase of the forestal areas brings significant environmental benefits also on a local scale in terms of reducing noise and air pollution, regulation of microclimate and energy conservation, development of green areas accessible by the public and biodiversity. In the Volusia and Madonnetta areas were carried out reforestation and conservation activities for a total area of ​​66,000 square meters. Offsets CO2 emissions through reforestation and protection of woody areas in Italy and worldwide (Costa Rica, Panama and Madagascar). The project is supported by Italian and foreign Universities specialized in LCA, Life Cycle Assessment of the product for the scientific calculation of the environmental impact, and by the collaboration of Parks and Protected areas for activities concerning lands’ reforestation, planting, monitoring and safeguarding. The Modena’s Voluntary Ecological Guards periodically monitor the protected areas and verify the projects’ progress. YOU’VE BOUGHT THEM, USED THEM FOR A LIFETIME AND NOW, IF FOR YOU ’ECOSUSTAINABLE’ IS MORE THAN JUST A WORD - YOU CAN RECYCLE THEM! How? Instead of the usual inefficient methods you can deposit them in our recycling bins available at our authorized resellers. And as an extra incentive we’ll give you a €10 Voucher for your next purchase, as a thank you for helping us help the environment. Your old Womsh sneakers will be used for the ’I Giardini di Betty’ project, backed by ESO - to make flooring for kids parks. Your old WOMSH sneakers will continue to live on in a new form and you’ll be part of a real eco-sustainable project! Passione, esperienza decennale, amore per il mondo femminile fanno di YOSH, leader nella produzione di calzature di lusso, una realtà che esprime il giusto mix tra avanguardia e alta tradizione dei maestri calzaturieri marchigiani. Con sede e show room a Genova, in uno storico palazzo che rappresenta lo stile del marchio, YOSH ha già conquistato quel mercato, sia italiano che estero, che si riconosce in una costante ricerca di fashion e qualità. La collezione è ispirata ad una donna consapevole, di forte personalità, mai scontata, che sa flirtare tra una contemporaneità urban-chic o per l’occasione diventare una diva.